Anyone else do their regular grocery shopping at Costco? School is out for the summer on Friday, which means my kids are like bears out of hibernation. They will eat non stop for the next three months. Honestly I don’t get it. They can go 5 days a week at school without snacking all day long, but once summer hits they are “STARVING” one hour after breakfast. Then ten minutes after lunch they want popsicles. For the entire neighborhood of course. 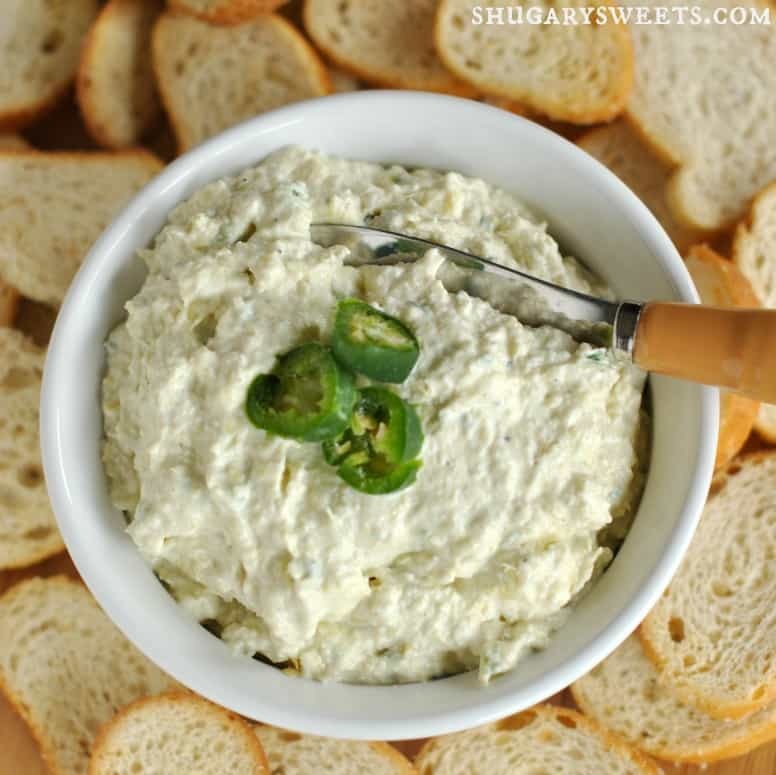 Jalapeno Artichoke Dip is one of my favorite Costco splurges (I mean, you don’t count the giant box of Oreos as a splurge right…those are a necessity). 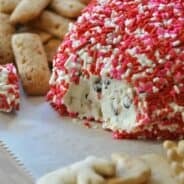 Have any of you ever tried this dip? A few years ago they were giving samples and I dutifully bought the container. And pretty much every month I buy a container. Until one day, it dawned on me. I can make this at home. Okay fine, the only reason it dawned on me that day was because they were sold out, or moved it, or stopped carrying it (GASP!). Regardless, I went in with a taste for my monthly dip, and it was nowhere to be found. Enter…Aimee’s kitchen. I think this version is pretty darn close to the real thing! Let me know what YOU think. And if you’ve never had it, or don’t have a membership, now you won’t feel left out. Cause you can make it home! Homemade Artichoke Jalapeno Dip recipe! In a food processor, pulse artichoke hearts until chopped. Add jalapenos and pulse until desired consistency. Add remaining ingredients and pulse until fully blended. Spoon into a bowl and serve with pita chips, bagel bites, crackers or veggies! Store in refrigerator for up to one week. ENJOY. Want more Copycat Recipe ideas? Visit my CopyCat Pinterest Board for some inspiring recipes! 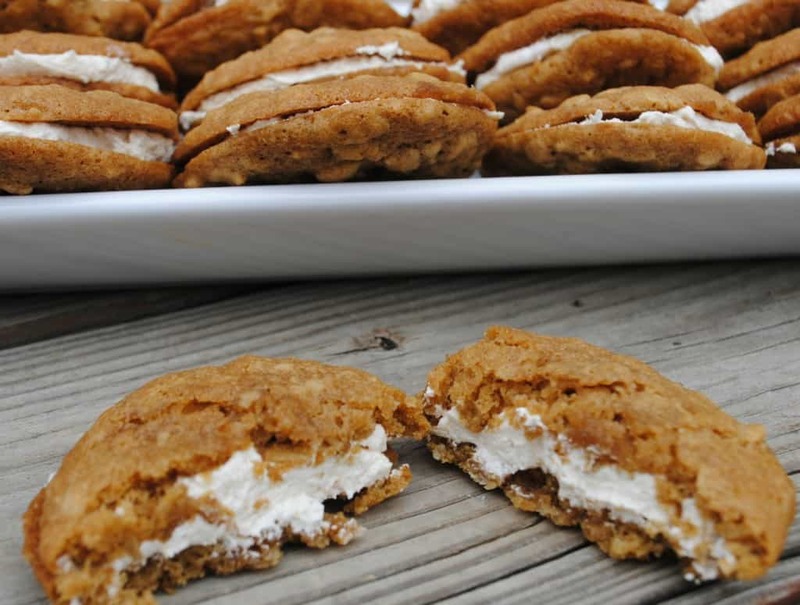 Oatmeal Creme Pies are even better than Little Debbie when made at home! Plus, more for your money! 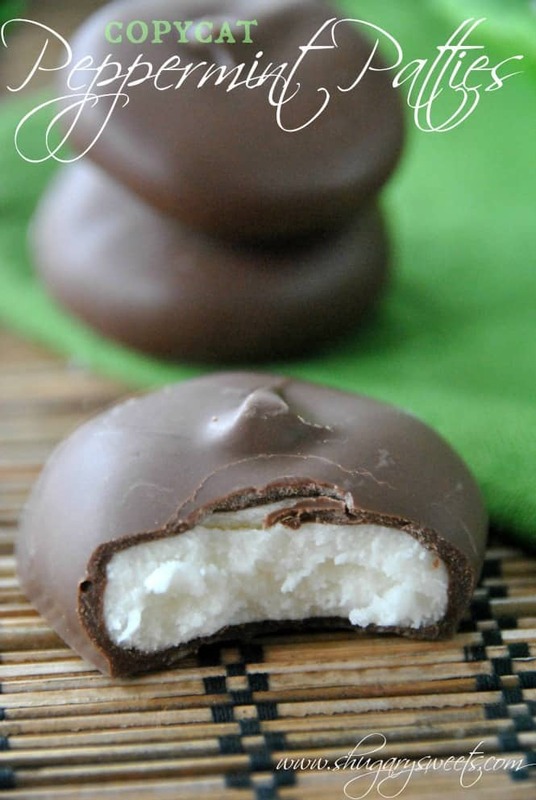 Homemade Peppermint Patties: tastes like the real thing! 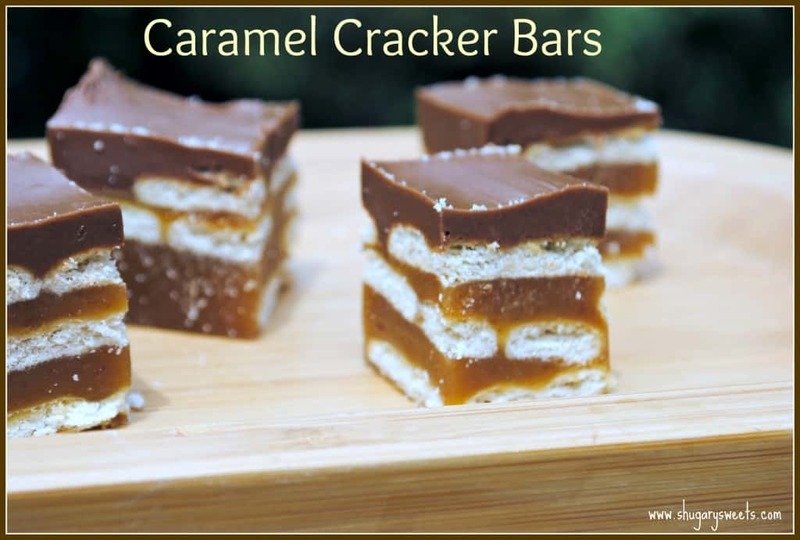 Caramel cracker bars that taste like a homemade TWIX candy bar! So easy and delicious. Sounds delicious! My son has been out of school since Friday and already I feel like the food is disappearing, and he’s only 5! I use Bj’s but there is a Costco in the area. Kids are so funny a out their snacking in the summer. It’s like I have nothing to do so let’s eat! I bet this dip is so good with the artichoke and the jalapeño giving it a little heat! Yum! 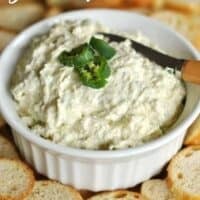 This dip looks soooo good!! What a treat! 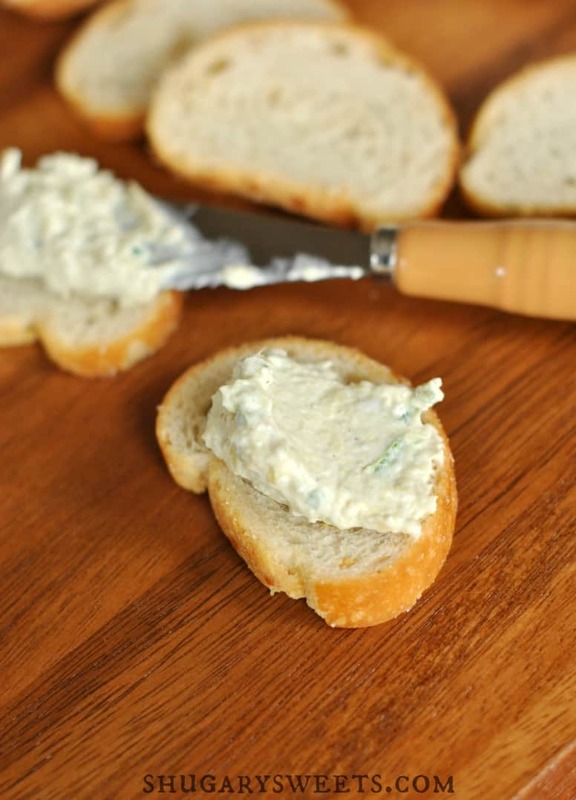 Oh my goodness does that look like creamy-dreamy heaven in a dip! Lovely recipe, Aimee! I know. Savory Shugar? hehe. ENJOY the recipe Stacy!! I swear this is crack in that dip because I could eat that entire BUCKET of dip in a weekend. OMG I hate the snacking. ALL the time! And our school eats lunch at 11:!5, so at 11:13 every day Jordan will want lunch, then four snacks before dinner. If only she’d eat this…but I’ll save it all for me! My youngest ate lunch at 11:15 this year too, crazy early. Especially since on the weekends she doesn’t wake up until 10am. What an awesome sounding dip! This sounds amazing! 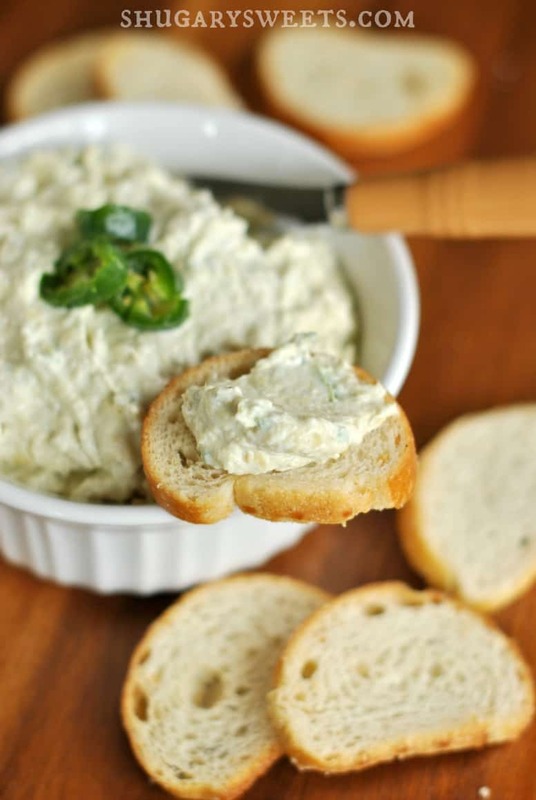 I love artichoke dip and I can’t wait to try it! One of my all time favorites — simply love artichoke and jalepeno and so does my family! When I first moved to CA about 10 years ago I used to get artichoke jalepeno dip at Vons grocery store and it was private labeled for them. I have never had the Costco one but based on what you wrote, and the pics of your dip, it’s probably the same dip. I had to stop buying it b/c I could inhale a little tub in a sitting. Seriously…I LOVE that dip. SO MUCH! I love spinach and artichoke dip but the artichoke/jalepeno combo trumps! Pinned! Thanks for pinning. I totally agree artichoke and jalapenos trump spinach artichoke!!! Um I am totally with you on this one. We buy that dip very regularly and it is CRAZY good. The boys love it on everything 🙂 Can’t wait to give this a try! 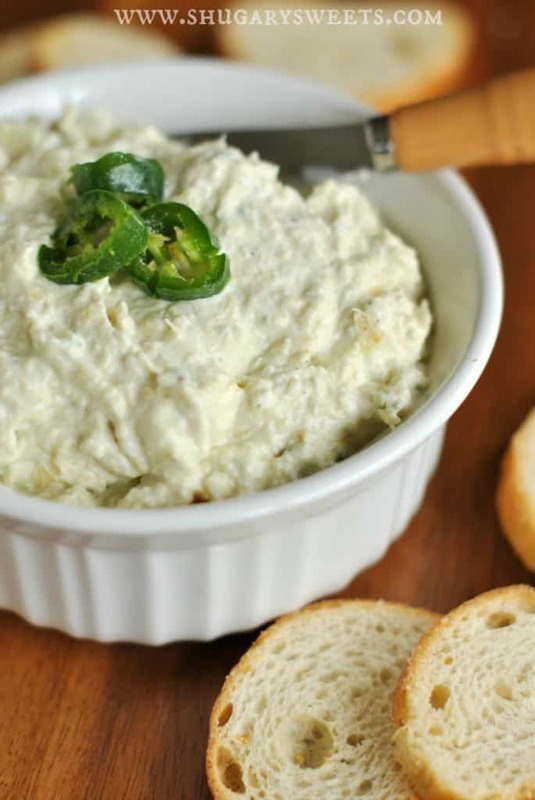 I’ve never even seen an artichoke jalapeno dip! I see spinach artichoke all the time, but I LOVE the addition of jalapenos! I’m more of a BJ’s guy, but I’m always hearing the praises of costco so I’m curious. And the dip sounds awesome! My wife would love it, she’s a sucker for jalapenos. I’m the same way in the summer – eat a meal then 45 minutes later I’m looking for snacks. 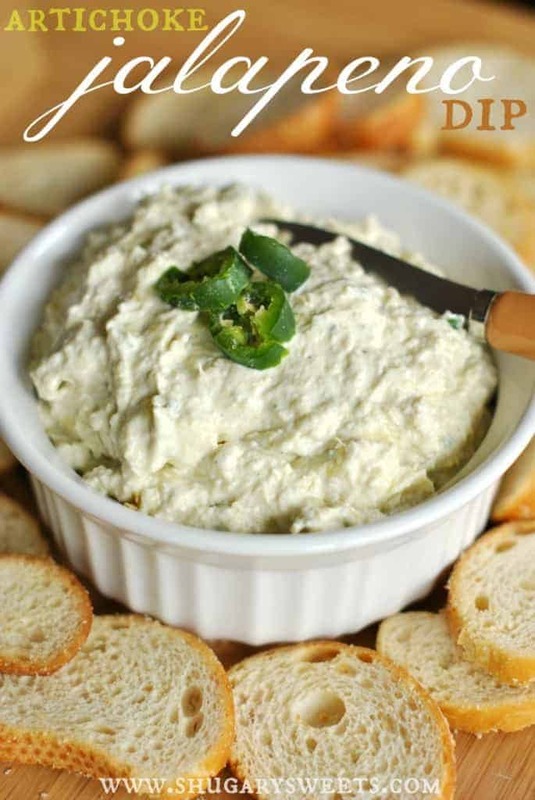 🙂 Artichoke dip would be awesome to have in the house in the summer with some tortilla chips! Never thought to make it myself – def. pinning this for later ! This dip sounds incredible!!! We don’t have a Costco close, but my MIL does all her shopping there. I’ll have to have her pick me up some the next time we visit. AND, I thought a three-year-old complaining every hour that his “tummy hurts” (his way of saying he’s hungry) along with the “tummy hurts” jabber of his younger monkey-see-monkey-do brother was bad, I can’t imagine when they become teenagers. I will be shopping in bulk for sure! 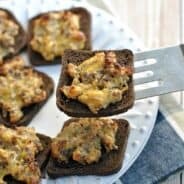 Oh, I just love artichoke dip 🙂 This one looks amazing! I’m so glad I found your site. Amazing recipes. I have never had this dip before, can’t wait to try it. I love that dip!! I am looking forward to trying yours. Is this one that I could put in a little crockpot dipper and serve warm?? Or…how about when it’s Super Bowl time and you don’t want to go NEAR Costco! Thanks for the recipe- we had to have it for our party!! Ahhhh so true!!! Enjoy the dip!! yeah, costco….it is becoming more difficult for me to shop there because they are constantly discontinuing products. like this one. gone never to return. Just made this recipe following the directions exactly. The amount of salt made me nearly choke. I almost threw the whole thing away, but decided to try and save it by adding 8 oz of cream cheese and a can of spinach. It’s now edible, but still too salty. If I were to make it again, I’d leave out all the salt AND the mayo, possibly leave out the garlic salt, and increase the cream cheese to 8 oz instead of 6. And in case any of you are wondering, I love salty foods – chips, crackers, etc. This was just WAY too much. My first question would be did you use kosher salt or table salt? There is quite a difference! And I have noticed some brands of garlic salt are saltier than others too! We make this all the time and have never really thought it to be salty! Sorry! Just bought this dip a week ago at Costco and it is so addicting even my two yr old loves it!! This dip is like crack!!! But it has to be heated!!! The warming makes it even more flavorful and creamy! Try it, you won’t be sorry! I am going to try this. We are having a Aphrodisiac party and there are two of the in this dip. I love the Costco dip but the rules of the party keeps me from buying it. 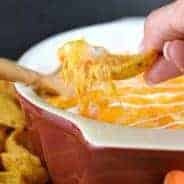 I haven’t tried this dip yet (but I will!!). I put the Costco dip on scrambled eggs before serving and it is fantastic! It gets all melty and delicious and really adds a new dimension to boring scrambled eggs.